Why does SALT have such a bad reputation if it's supposed to be good for us? So what does sea salt have to do with our bodies being made of mostly water? It is the ions naturally present in sea salt that the body requires in order to perform a variety of essential functions. 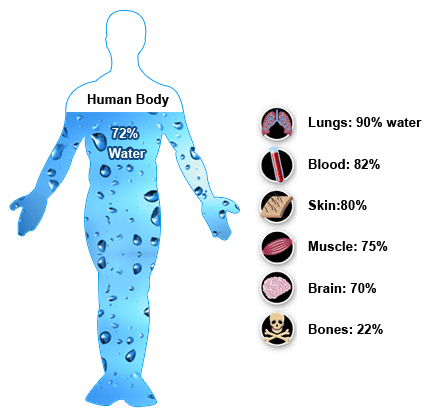 Ions are truly the carrier of water to our cells to replenish our cells with the water we consume. Without ions, our cells have no way to absorb water. Sea salt helps maintain the fluid in our blood cells and is used to transmit information in our nerves and muscles. It is also used in the uptake of certain nutrients from our small intestines. The body cannot make it's own salt and so we are reliant on food to ensure that we get the required intake. How much sea salt do we need? Answer: Based on the requirements of a human body, an average adult requires an intake of 4.2g salt per day. The minimum requirement is 1.5g - 2.5g. The government recommends an intake of 6g salt per day for an adult and less for children. At the moment the average adult intake is 10-12g. Pro-salt campaigners argue that any healthy body will process just the right amount of salt it needs and the kidneys will dispose of any surplus. What's the difference between naturally harvested sea salts and store bought, factory salts? Naturally harvested sea salts come from all over the world and are naturally gathered (or harvested) from our great Earth. The salts come from the oceans, river beds, ponds, lakes, caves and many other natural places where the salts form. This is why there are so many different types of sea salts from around the world. It is left in it's UNREFINED, natural form. 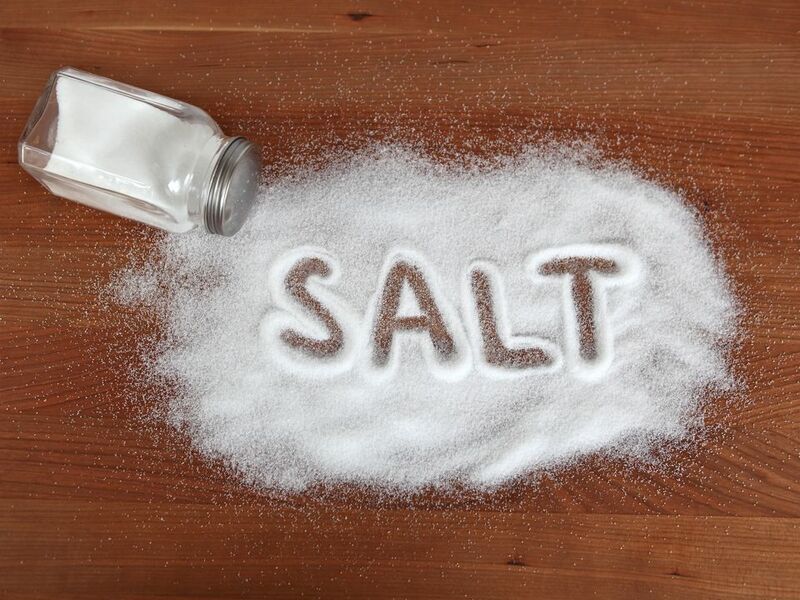 This salt is NEVER chemically treated with bleaching agents, pouring agents or anti-caking agents. Those ingredients are making people sick and reeking havoc on our bodies. Kosher is an artificial, refined, chemically created salt with mechanically processed crystals. It is not better for us simply because it holds the Jewish approval for being "Kosher." This symbol simply means it has been approved by the Jewish community as it follows their religious beliefs accordingly. Industrial sea salt is no better, refined to 99.8% pure sodium chloride and standardized for global chemical markets. Cheap salt is spun from the industrial maw, an abstraction, a chemical, NaCl. There is nothing healthy or good about putting those chemicals into your bodies! What about Water Retention and other health information? Why is PINK HIMALAYAN Sea Salt so popular? What's the difference between PINK HIMALAYAN Sea Salt and other naturally harvested sea salts?